I know what my miracle morning is. I would love to have this kind of morning every day. I bet you would like to experience it, too. But do you know what the miracle morning looks like? If not, I can give you a couple of hints. Every morning, I try to get up earlier than I have to. I’ve had this habit for many years. I know that I need no more than 30 minutes to prepare for work and I deliberately wake up at least one hour earlier. Am I crazy? I know a few people who think so. But I have several reasons for putting myself through an early morning wake-up call every day. I really like to run in the morning. It energizes me for the whole day, giving me the ability to do more. For a couple of years, this used to be my only reason for getting up earlier. But recently I read a book called The Miracle Morning by Hal Elrod. The concepts presented in this book were revolutionary for me. After reading it, I decided to expand my morning routine. 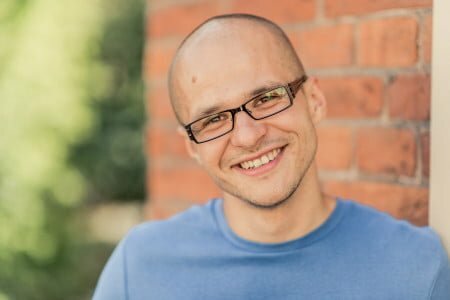 It helped me understand why I felt so good after my morning runs and made me decide to accomplish even more before moving forward with the rest of the day. In the book, Hal explains that by doing something for your personal development, you give yourself a huge boost for the whole day. He suggests doing this as early in the day as possible, preferably first thing in the morning. Before you go to work or before your family wakes up, you can do something for your personal growth. Isn’t it tempting? Before everyone is awake, you can exercise, read, meditate, and much more. The author proposes a structure for each morning and explains it using the acronym Life S.A.V.E.R.S. Scribe - writing an entry in your journal about what happened the day before, what you want to remember, repeat, do differently, etc. This is what is described in the book. The author writes that these activities can be spread out over one hour or as short as 6 minutes. This depends on your personal schedule and on how much time you have. The most important thing is simply to do it every day. Even if you spend 1 minute on each element, you will still benefit from this process. Just focus on doing it every day. This is a beautifully simple idea. By doing these six things, you can help yourself grow, develop, and improve. No matter what the rest of your day looks like, you’ll know that you’ve already done something positive for yourself. I love that concept! 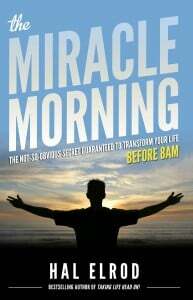 After reading The Miracle Morning, I immediately knew that I had to implement these six routines. When I thought about all of the things that I could accomplish before starting the day, I wanted to implement this routine immediately. Then I remembered one crucial rule I try to live by - only one change at a time. I remembered that it’s simply impossible to build more than one habit at a time. I was already running in the morning. And suddenly I wanted to add 5 more habits to that time! I decided that I would change one thing at a time in my mornings. So I started with reading. I’ve always wanted to read more, but I constantly have too little time for it. Since the beginning of January, I’ve read 15 minutes almost every morning. So far, I’ve already completed four books only by reading for 15 minutes each morning! How awesome is that? Now I am ready to add one more thing to my miracle morning. I think it will be journaling. I’ll let you know how it goes. 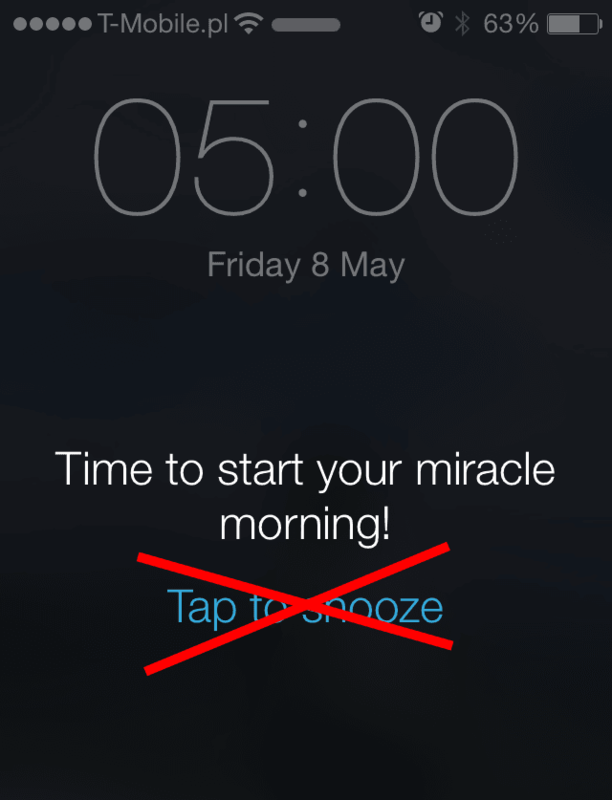 What do you think about the concept of the miracle morning? Can you get up a few minutes earlier tomorrow and do something for yourself? Let me know how works for you!